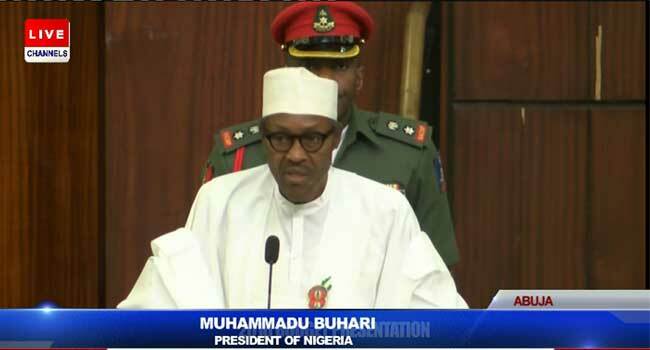 Welcome to Mercy Ebute's Blog: Must Read Key Points From Buhari's 2016 Budget Presentation Speech. Must Read Key Points From Buhari's 2016 Budget Presentation Speech. 1. The President in observing protocols, acknowledged that he is not only standing before the Senate, but before all Nigerians, the men and women who placed us here. 2. He is not oblivious to our pain and difficulties, he knows that Nigeria is in difficult times, laden with Unbridled corruption, Lack/Lost of jobs, Insecurity, etc. We must not ignore lessons of this time in planning for the future, he said. 3. Huge decline in oil prices per barrel has taken a terrible toll on businesses. Business owners can no longer pay their employees and traders are finding it difficult to cope. 4. In spite of the gloom, Buhari gives hope to Nigerians:Fellow Nigerians, the confidence of many might be shaken. However, I stand before you today promising that we will secure our country, rebuild our economy, and make the Federal Republic of Nigeria stronger than it has ever been. 5.Buhari charges Nigerians: The answers to our problems are not beyond us. They are within our farmlands, corporations, universities, entrepreneurs, armed forces, resolute spirit of all Nigerians especially in our resilient youths.